Mindblowing Makeup is Just a Workshop away! 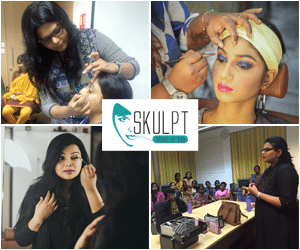 Learn all that is trending in the beauty industry at Skulpt Makeup workshops. Maximise your learning potential with our invaluable training in corrective techniques and popular looks. The workshops are conducted by the whos who in the industry and it includes hands on training and Q&A session. During the workshop, you can learn how to apply colours and work with various brushes to get that perfect effect on the skin. Explore various skin care and lifestyle tips given by experts in the field. We are here to share some of the best-kept makeup secrets to help you understand the nuances of the art. Traverse new boundaries with our innovative makeup workshop specially designed for the go-getters in the industry. Our workshop sessions are limited to a smaller audience, and we ensure that every participant is given individual attention. Our workshops give you scope to work on live models and conduct photo shoot to exhibit your skill. Moreover, we allow you to create portfolios to kick start your career confidently. The basic agenda of our makeup workshop is to teach aspiring makeup artists on how to approach an assignment. We teach our signature tips, strategies, and techniques to our clients. Enjoy the advantage of hands on experience in bridal makeup. Our students are given an opportunity to work with real models to enhance their skills in the art of bridal makeup. 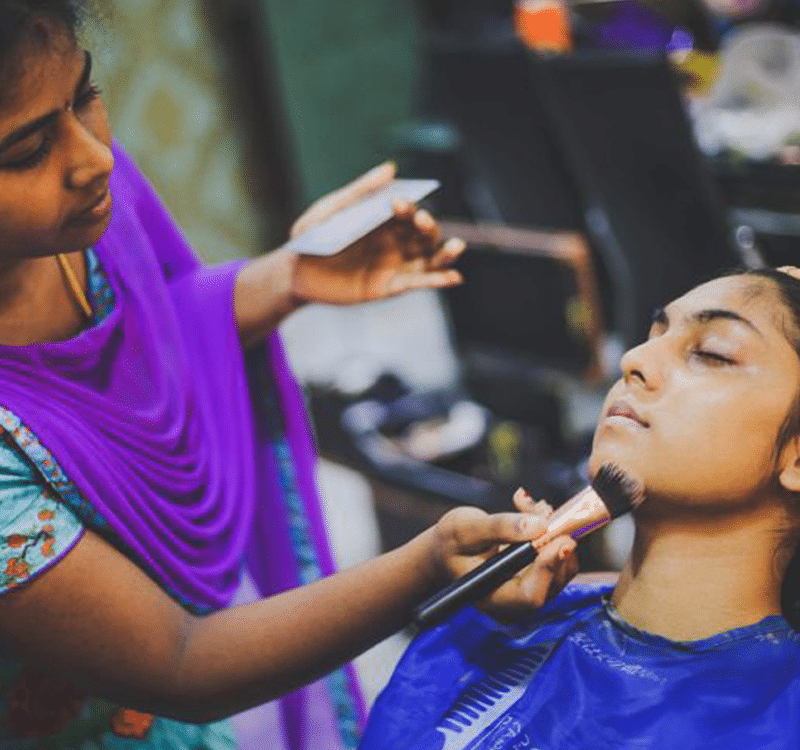 At every step, our makeup workshop guides them to showcase their best skills without any inhibition. Through our workshop, you can get rid of the apprehensions and confidently handle the assignment. We teach our participants how to give their 100%. Every workshop is special and has a touch of Vidhu’s experience in it. Our makeup lessons include real time makeup application. We help you create a flawless canvas through the right colour application and flow of the makeup brushes. We teach you how to bring out the beauty irrespective of the age. Our skin care tips and lifestyle changes are time tested and give desired results. Our participants are exposed to our age old secrets making them seasoned makeup artists. Our airbrush training is in great demand as new comers want to know more about this new form of makeup technique. During our three day workshop, we teach our attendees on facial shapes and colour matching. We give them a brief understanding of natural makeup, day makeup, and bridal makeup. On day two of the workshop, we explain eye and brow shapes, smokey eye application and photo shoot. On day three of the workshop, we teach lip shades and contouring. We also explain more on classic glamour. At the end of the day, we indulge in a black and white photo shoot. The workshop is open for beginners and seasoned makeup artists who want to learn new techniques. At the end of the workshop, participants are tested and certified. The space is limited and hence book in advance to avoid disappointment. Contact us for enrollments.